U.S. Rep. Charlie Crist introduced a bill last year that would require all new school buses be equipped with lap and shoulder belts. It would also provide grants to upgrade existing buses with safety belts. WASHINGTON, DC – Following new recommendations released Tuesday (May 22) by the National Transportation Safety Board, U.S. Rep. Charlie Crist has renewed his call for seat belt requirements for school buses. The NTSB, the federal agency responsible for issuing safety guidance to prevent future accidents, is recommending lap and shoulder belts on all new large school buses after its investigation into deadly school bus crashes in Baltimore, MD, and Chattanooga, TN. Last year, Crist, D-St. Petersburg, introduced the Best to Use Safety (BUS) Belts Act (H.R. 2160) requiring all new buses be equipped with lap and shoulder belts. It also provides grants to upgrade existing buses with safety belts. Crist said this follows his work in the Florida State Senate on this issue, resulting in the state of Florida mandating seat belts on school buses. There is currently no federal seat belt requirement for passenger seats on large school buses. “Children are provided the protection of three-point belts when they ride in a car. The same protection should be offered to them in school buses. This legislation would enable this to happen,” said Deborah A.P. Hersman, president and CEO of the National Safety Council, on the introduction of the BUS Belts Act. 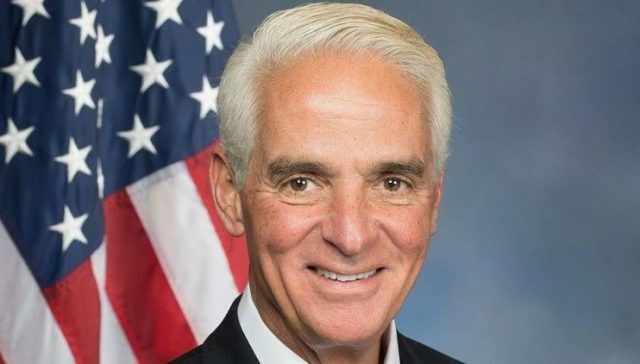 Crist represents Florida’s 13th Congressional District in the U.S. House of Representatives. CD 13 includes south and mid-Pinellas County.